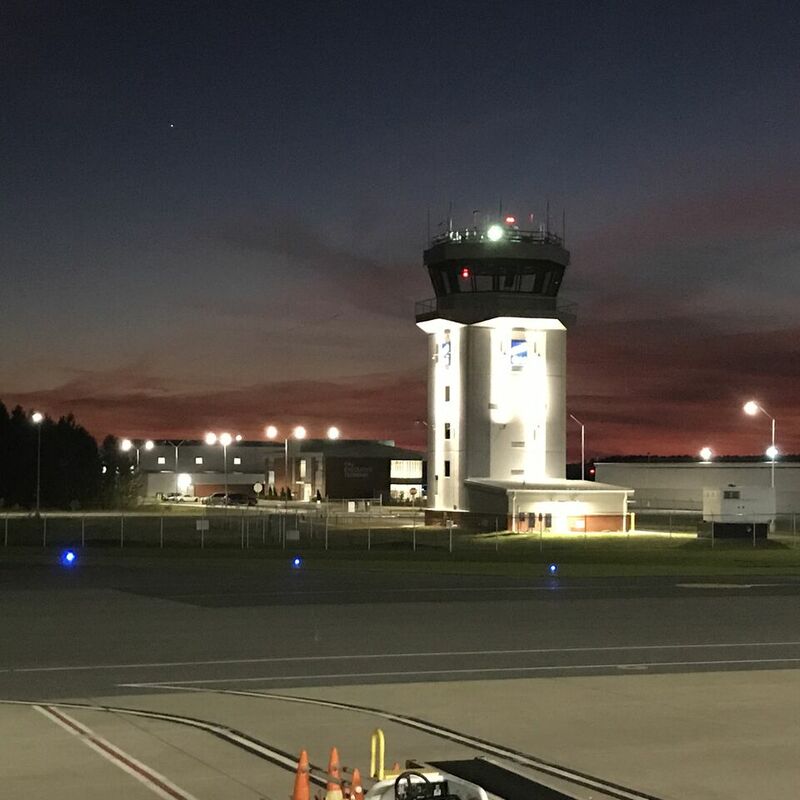 Jacksonville, NC (Nov. 28, 2018) On Tuesday, Nov. 13, The Onslow County Board of Commissioners dedicated the nation’s newest Air Traffic Control Tower at the Albert J. Ellis Airport (OAJ). They also shared a clear message with economic investors and CEOs: Onslow County wants your business. White says the airport has always been safe and followed standardized practices to land planes safely. The new tower boosts those safety procedures to a new level, eases insurance pressures, and creates efficiencies. With the tower, systems are in place to land more plans and reduce taxi times during peak periods—which saves fuel and time, thus decreases user costs. The new tower’s opening culminates nine years of planning and execution with the goal of placing OAJ in an elite group. According to the FAA, of the over 5000 public-use airports in the country, only 518 have percent have air traffic control towers. Today, the tower manages aircraft traffic arriving, departing and operating in the vicinity of the commercial airport. Federal Aviation Administration (FAA)-certified air traffic controllers were hired to staff the new tower. Controllers also coordinate air traffic between towers at New River Air Station, Wilmington, Cherry Point, Seymour Johnson Airforce Base, and New Bern as well as the Washington and Jacksonville (FL) Air Route Traffic Control Centers. Last year, over 313,000 people—business travelers, citizens, military, and visitors—traveled through the airport. White says a stronger Eastern North Carolina economy, business and medical travel, tourism and Marines traveling to nearby Camp Lejeune all played a role in this steady increase. MCAS New River is home to several training and fleet squadrons of helicopters that use OAJ for training. The Airport also supports military mobility on aircraft too large to land at New River. In 2018, Vidant Medical Center from Greenville, NC and Airlink Vitalink from New Hanover Regional Medical Center based air medical operations here, bringing over 30 new jobs with them. While the tower is not solely responsible for these moves, having a tower on the horizon encouraged decision makers to approve the new projects. According to a 2016 study commissioned by NCDOT and performed by NC State University’s Institute for Transportation and Education Research (https://itre.ncsu.edu/) the airport supports 370 jobs and contributes over $237 million/year to the local and state economies. The tower project was funded by grants from the FAA, North Carolina Department of Transportation and airport user fees. The air traffic controllers are supplied by RVA, Inc. under contract to and funded by the FAA. Opened in 1971, Albert J. Ellis Airport is a county-owned and operated, commercial service airport in Onslow County, North Carolina. Located in Richlands, 10 nautical miles northwest of the central business district of Jacksonville, NC and Marine Corps Base Camp Lejeune, the airport offers a 7,100’ foot runway and three gates. Delta Air Lines and American Airlines both offer service at the Airport with flights to major hubs as do several charter companies. The Airport also welcomes private, corporate, military, medical, agricultural and government aircraft.